A new version of NAL’s auditory training software is now available on the Apple store. 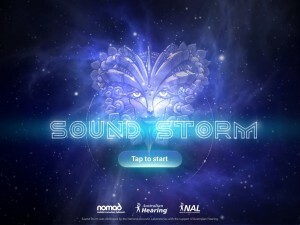 Sound Storm is an engaging space-themed iPad game for children 6-12 years assessed with spatial processing disorder (SPD), one type of central auditory processing disorder (CAPD). SPD prevents children from effectively understanding speech in a noisy environment, notably their teacher, even though their hearing test result may be normal. The software’s effectiveness has been proven in extensive peer-reviewed research in helping these children improve their auditory processing abilities. The new version of Sound Storm includes an updated report graph, and an option to share data with NAL to contribute to their ongoing research in this.